Our Grand Teton Guided Tours will take you on Wildlife Safaris to see Moose, Elk, Blacktail Ponds, Antelope Flats, and Mormon row to view Bison & Pronghorn Sheep. The next stop is Oxbow Bend, Jackson Lake, and the Willow Flats Overlook. We may venture further North depending on where Grizzly Bears have been sighted. We offer several Grand Teton Tour Options that include, Grand Teton half day Tours, Grand Teton full day tours, Grand Teton sunrise wildlife tours, and Grand Teton Sunset Tours. 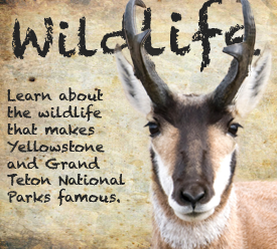 All of our Park Tours in Grand Teton will take you to incredible natural lands that are teeming with wildlife. Many of these park tours offer an opportunity to see Moose, Elk, Bison, Pronghorn Sheep, Grizzly Bears, Black Bears, Bald Eagles, Wolves, and Deer. American West Tours Provides land based tours that will take you to points of interest in Yellowstone National Park. Our Yellowstone Guided Tours will take you to Old Faithful, Grand Canyon of Yellowstone River, Fountain Paint Pots, Mud Volcano, and Yellowstone Lake. We also offer service to Yellowstone Lower Loop, Grand Loop Day Trip, Grand Loop 2 Day Tour, and many other natural wonders found throughout Yellowstone Park. American West Tours offers Yellowstone Guided Tours that originate from the following areas of the Park. Jackson Hole Wyoming, Cody Wyoming, Gardener Montana, and West Yellowstone. American West Tours provides exciting Grand Teton fly fishing trips that are guided on the Snake River! On your Snake River fly fishing trip you have an opportunity to catch feisty trout waiting to take your fly for a wild ride! 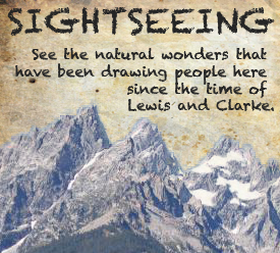 We also offer Grand Teton scenic floats that will take you down the Snake River to enjoy the rugged beauty and wildlife that call this region home. You can also choose our famous Yellowstone Float, Fish, and Tour Package. Our expert Grand Teton guides will take you through the incredible Grand Teton National Park to experience the natural wonders and excitement that make this region so enchanting.